Hello! It’s like I never left. Almost. Enjoy! These will likely go up any time on a weekend, not just Saturdays now. You know that thing, where you leave the house and you can’t remember if you locked the door? I love this visualization. So much. After a while, I got sick of following Upworthy as their intro/tagline style got more and more frustrating to read. 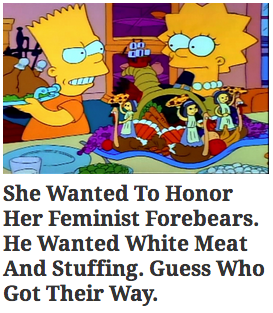 It’s why I find things like the Upworthy Generator and the amazing Upworthy: Springfield Tumblr make me laugh so friggin’ hard. Google Street view is now available for national parks in the USA and Canada! I just tried it for Algonquin Park, and that’s pretty neat. (Let it load!) More details of some of the Canadian stuff is here, and worth a browse. Forget holiday shapes and all of that business, I want some Tetris piece cookies! It might let me pause to play before scoffing them ALL. Do you need to experience the photoshop marvel that is Dirds? You do. Circuit stickers are such a cool design idea! I wouldn’t hesitate to have these up all over my walls. So shiny. If I wasn’t sure I’d feel like a blimp wearing some of their stuff, I’d be ALL OVER the Black Milk Adventure Time collection. And speaking of blimps Finn & Jake floated through the Thanksgiving parade in NYC this week. Dogs are so great. Case 1: dogs popping balloons. Dogs are SO great. 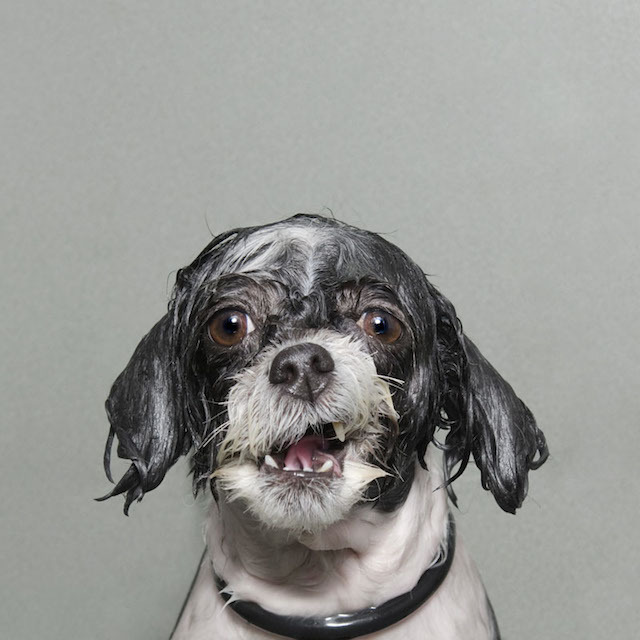 Case 2: wonderful portraits of wet dogs that are almost like caricatures. 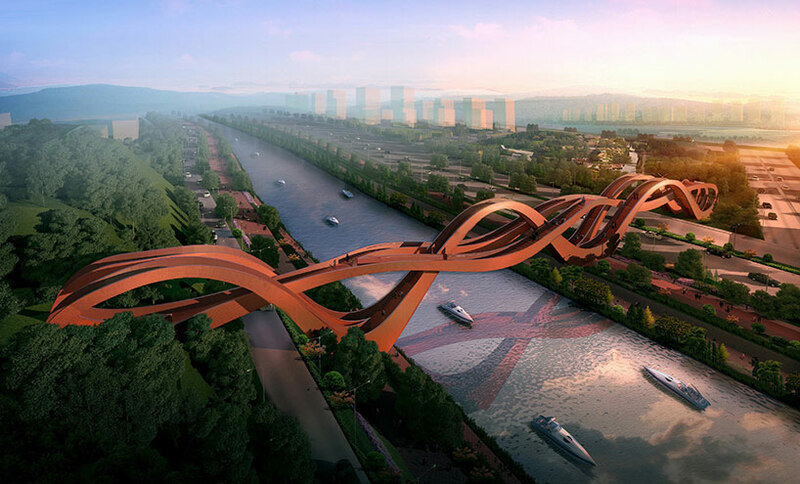 I love beautiful, functional architecture like this bridge. I’ve had a tough time motivating to make my ‘usual’ sorts of posts this last little while. I haven’t forgotten about my digital dozen posts, it’s just seemed like a lot of effort to curate them (I am hoping for one tomorrow though). And my efforts haven’t exactly been stellar for throwback Thursdays /Things I love Thursday either. It’s not to say i’m not still trawling my reader for neat things daily, getting nostaglic about the good old times through photos or being happy and thankful for things in my life big & small, I just haven’t had the mental energy to articulate blog-wise about ’em like usual. However! I haven’t been totally absent, which is nice. I have kept up some content, albeit infrequently, and that’s good! It’s usually a total fall by the wayside for me and blogging. Hence the “I’m not sure what this is about but it’s something” sort of catch up. Let’s think about recent times.. I hosted a bunch of wonderful vegan ladies for soup exchange (like a cookie exchange, but with jars of soup and way more practical and amazing for winter!) which was really just a lovely sort of potluck and hangout and a great excuse to have a solid pack of wonderful people packed into my apartment. I started back in therapy which I’m hoping will help me enter the new year with a better perspective and arm myself for the next few years of life now I’m settled here and figuring out what I want to do with myself. I’ve gone to the ROM for various reasons (member previews, late night events) and that’s been enriching the museum pocket of my soul (rather large and cavernous). Laughed my way through seats in the splatter zone of the Evil Dead Musical, which has finally come back to Toronto (so much fun!). Brunched at fancy-pants vegan restaurant Grasslands with a few vegan besties, the best way to spend a hungover Sunday morning. Saw the Doctor Who 50th anniversary special in the cinema with my gorgeous friend Jamie, among a crowd of Whovians. Attending the veg book club for the first time, with the added bonus of brunch and great company was wonderful. I’ve been playing lots of board games in general as well, obviously, but having a mini veg-folks game day was great also. Have enjoyed the first bits of winter peering over the horizon, too. Alas none of this recent times stuff involves crafting or creating, which I just gotta get on top of, or being more active/gymming more. Boo. And among all of that there has been my family downtime, chilling out and recharging with Adam and Jake, nesting and being at home. It’s what I pin my sanity on and would be lost without it, really! I had a trawl through my phone’s photo gallery to see what I might not have shared (or shared much) over the last bit, so here’s some pictures to wrap up. Thanks for staying tuned. One of the many soups from the soup exchange! Mmm. Beautiful door at a friend’s wedding venue, Enoch Turner Schoolhouse. Sometimes I don’t even know what is going on with the strange things people post around the neighbourhood. And have I mentioned it’s so friggin’ nice at this time of year? And with that, I sign off! 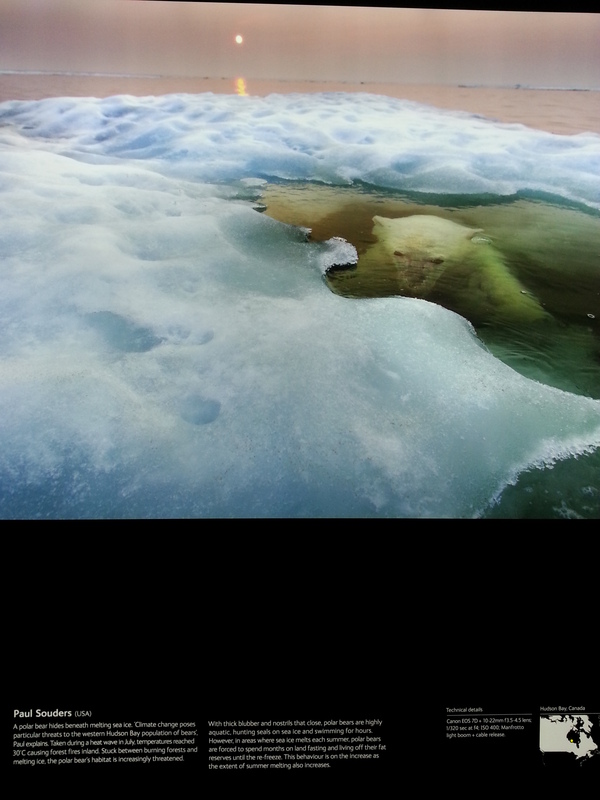 Mini-review: Wildlife Photographer of the Year awards at the Royal Ontario Museum. One of my favourite museums to visit when I was living in London (England) was the Natural History Museum, especially when it was time for the annual Wildlife Photographer of the Year awards exhibition. This year, it’s traveled to us across the pond here in Toronto, and it’s currently on show at the Royal Ontario Museum. I attended during the member’s preview hours on Friday, and was not disappointed. Tucked away near the Roman galleries on level 3 is a space used beautifully to funnel you through the various categories of images. Animal behaviours, plant life, landscapes and more artistic captures are presented on backlit panels, making the quality and colour (or crispness of B&W) pop amazingly. It is hard not to be drawn in by each and every image not just because of the content and composition, but the sheer beauty of them all. 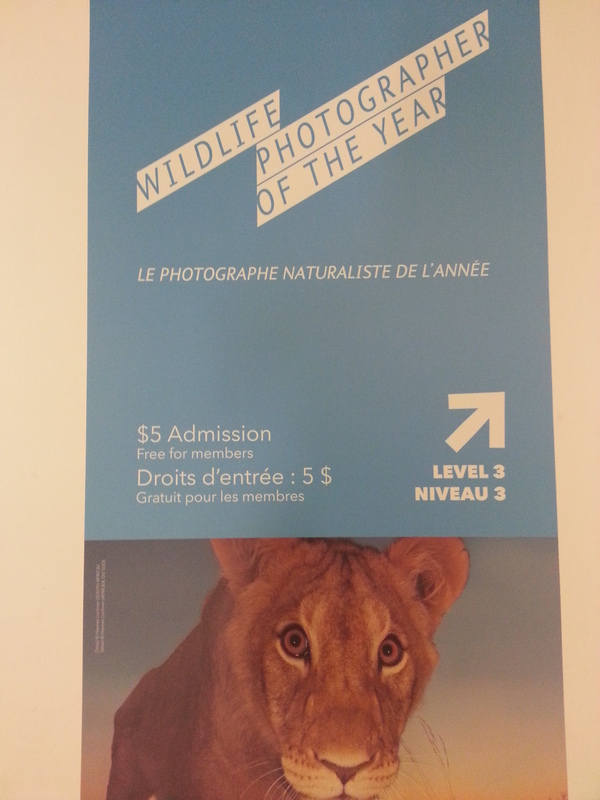 There’s no shortage of amazing photography in this exhibition, naturally – but I am always drawn to the young photographer’s categories. 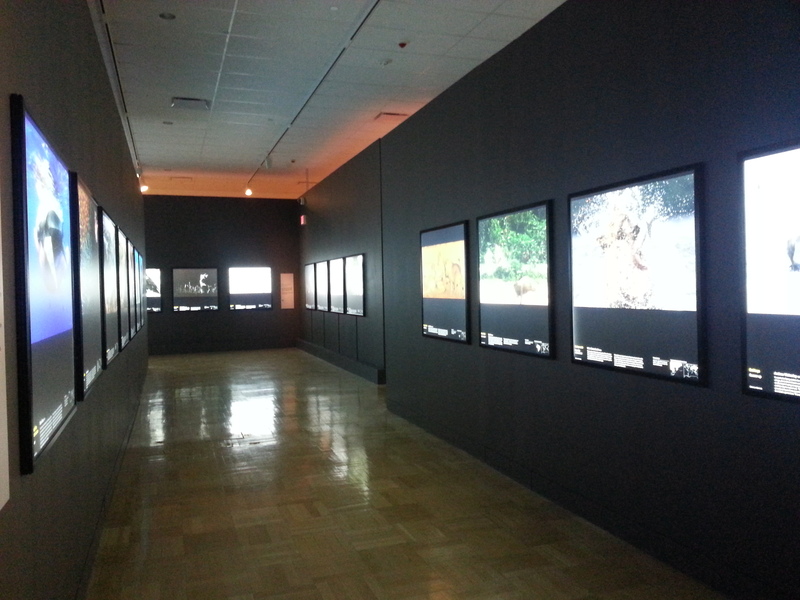 I have been fascinated by wildlife and nature from a young age (suckled on David Attenborough’s documentaries, and the like), so it’s encouraging and inspiring to see young folks getting out into the world to snap the incredible photos displayed in this exhibition. I wish I’d had the drive and skill when I was young to do the same – although I’m sure digital photography has made it a far more accessible hobby. 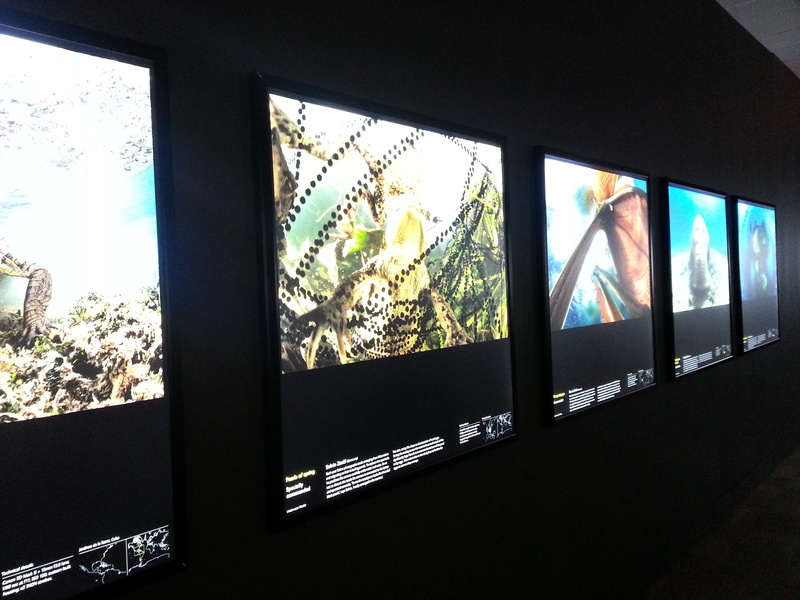 Passing through the specific categories of competition, towards the end of the exhibition there are more specialized showings of photos – portfolios of outstanding nature photographers, and photo essays. The essays are particularly striking not just because of their look, but their substance – the first is a horrifying look at the ivory trade, and the other on the devastating affect of dams along the Amazon. They’re brutal to see, but tell their stories incredibly well. I encourage you all to visit the ROM in general, but it’s also worth the little extra admission to see this exhibition. Drink in the beauty of wildlife in their natural habitats, and how incredibly skilled all of the photographers are in capturing it. If you even have a passing interest in wildlife documentaries and imagery, you will not be disappointed. And if you’re going – let me know! I would visit this again and again. Jaipur is an outstanding game that makes a trading theme for 2 players super fun. You have to play the market (i.e. take cards from the spread) to collect sets and trade them in for chips for those goods. The more and earlier you trade, the better return you get for those goods. There’s some tactics, a little risk and pushing your luck, and it’s so fun trying to beat your opponent to the better rewards! I guarantee you’ll be playing back to back games of Jaipur. I have just recently tried Morels, and after a couple of plays I’m convinced that it’ll stay in my go-to 2 player game list. Thematically, it’s a delight – you’re strolling through the forest trying to collect different sorts of mushrooms. You can sell these to gain the game’s currency (sticks) or cook them up (plain, with vinegar or butter) to collect end-game points. The “strolling through the forest” part is actually you just taking cards from a constantly refreshing line of them – some are discarded along the way too, so you need to think strategically about how to best select cards to aid in your set collection while avoiding poison mushrooms and picking up benefits along the way (bonus night deck cards, baskets to add to your hand size, pans for cooking). It’s a simple game with light strategy and I find it a lot of fun despite the slight luck aspect of how the cards come out. The only downside? It makes me SO HUNGRY for fried mushrooms every time I play. I get so frustrated by chess – having to remember how everything moves, the level of strategy involved.. plus, I just find it boring to play! Hive is a great alternative to chess for me – excellent abstract strategy with the added bonus of awesome insect theme to help me remember how each piece moves (it seriously helps!). I can only assume it would appeal to casual chess players also due to the strategy involved. The aim of the game is to play your insect tiles strategically in order to trap your opponents queen bee by having them totally surrounded by tiles (either player’s). It seems so simple, but there’s depth to it that can make you flail as you release that damn it all, your bee’s about to be trapped and there’s nothing you can do. Highly recommend this for terrific player interaction, also. Plus, the bakelite pieces are a joy to handle. Mmm, tactile. Let’s put aside for a moment that the picture I found above isn’t the English version – it just best represents how this game looks when it’s all laid out. Targi intersects board and card game in the best way possible. You’re playing on a card-created board that shifts throughout the game, and determines the strategy in which you place your pawns. 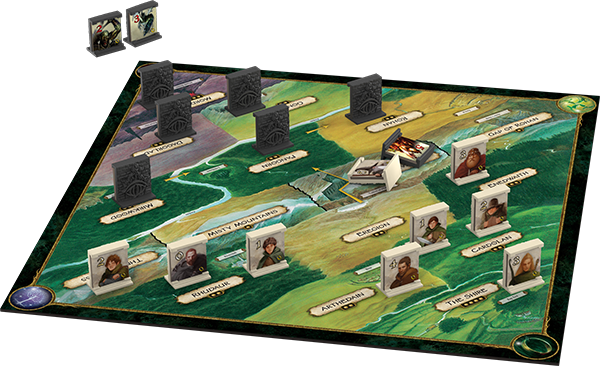 Strategic placement of your pawns means you will collect resources and points, as well as tribal cards. You’ll need to play those tribal cards down in front of you and meet their requirements (have x amount of these types of cards, etc) for points to win the game. There’s a lot more to it than that, but I wanted to give a general gist (this is a far better actual review) – I think this is the most strategic and complex 2-player game I’ve tried, and it’s worth the investment of time to learn – gameplay itself is around 45 – 60 minutes, so it’s nice to have something that isn’t just filler for 2 players. If you wanted to learn more, this walkthrough video might help! Plus, it’s definitely one of those games that looks great with googly eyes. It’s important stuff. Okay, it’s about to come into print so not currently super available first-hand. But keep an eye out for the reprint. If you wanted something fantasy-based for theme, this is the 2-player for you! (Unless you want something really dungeon-crawly and then I’d say give Claustrophobia a whirl – it’s asymmetric too). This is a wonderful asymmetric 2-player game where one of you is the good guys (hobbits, elves et al) and the other player takes on the baddies (ringwraiths, trolls, Shelob et al) – you can’t see the opponent’s pieces until direct combat occurs between the two of you. Every character has a unique ability (you can defeat another character automatically, you can move/retreat in certain ways, you can mess with how combat cards are played, etc) so you need to try and move your characters around the board to best make use of these to defeat the other side. As the good side, if you can get Frodo to Mount Doom, you win! As the baddies, if you defeat Frodo or 3 of the good guys, you win! Trying to deduce what pieces your opponent is moving around, and how best to defeat them/get past them with yours is challenging and fun. It’s nice to play a 2 player game where you’re each running at the strategy a little differently, working with different tactics rather than playing the same ground. Also: hobbits! While there is a theme to Lost Cities – you’re adventuring archaeologists, mounting expeditions and hoping they’re profitable – its not ever really apparent while you’re playing this game (as much as, say, Morels or LOTR: the Confrontation). That’s not to say it’s not a solid 2-player game though. Every expedition you commit yourself to starts at -20, so to make a profit at all you need to get at least 21 points. Drawing through a pile of cards, you need to decide what to keep to aim for sets to gain points – or what to discard instead (hoping this doesn’t aid your opponent in their expeditions). ‘Handshake’ cards can make your expedition more profitable (doubling, quadrupling, etc), and make the point goal much more important to reach (you’ll lose far more points if you don’t succeed at these important expeditions!). It’s fun, light, and with a little player interaction so you’re not just each sitting there playing your own game at the same time. I think I have played this more on the iOS version against the AI than I have actually played the cardboard version, but it’s still worth a go if you can find it! Beautifully simple to learn, the basics are – play cards to move your pawns, use those pawns to claim your opponents’ as your own by controlling areas. This is roughly themed as the Lancaster and York factions going up against each other, but this could have “one versus another” theme laid on it and still be a delight to play. Simple gameplay with an interesting strategy to delve into. 3D Printing Fun out on the town. The Royal Ontario Museum is following a recent trend of evening events hosted in museums (see the Queensland Museum, the Art Gallery of Ontario & the Science Museum in London, among just a few!) – theirs is “ROM Friday Night Live“, and they’ve held a few series so far. I’ve attended a couple (I wish I could go every Friday, but it’s tough to make it work) and last Friday Adam and I went to the “Let’s Dance” themed evening. Each night is themed, and they usually do a pretty decent job at tying it all together with the galleries & special events – and it’s just fun being in the museum in the evening with all sorts of interesting stuff going on. Friday night saw Opera Atelier singers and ballet dancers, and later on some beatboxing and breakdancing down in the main hall while sneaker decorating was going on. A jazz quartet played in the geology gallery, there was a map of Toronto where you could pin your location, and upstairs Makelab were doing something thematically related to the special Mesopotamia exhibition currently showing. As soon as I saw “3D printing” mentioned in the program, we made a beeline for it and signed up for the first session. After wandering the mammal gallery a little, sipping our adult beverages and giving the Scopify app a whirl (at first glance I found it pretty neat, but I would like to see the full scope – if you will), we made our way back to Makelab’s setup and started poking about on the iPads they handed us. Starting with a base, you could add any of the pre-fab structures they had in a gallery – arches, walls, stairs, ziggurats, columns – stuff of all sorts that would be home in Mesopotamia. I found it a little fiddly to maneuver the structure, but the helpers standing by were useful with tips on how to navigate and best move/resize/place stuff. Once everyone in the session had finished their designs, they were saved to the cloud and someone was standing by to send them out to the half-dozen or so printers waiting. Each one was a marvelous little machine with a spool of basic white polymer (I guess? I didn’t find out exactly) that would feed into the machine, and be spit out into a wonderful little shape. The printer mine was sent to had some hitches, but Adam’s printed perfectly first time. My model, and mine and Adam’s on the city grid below that (the two frontmost). Makelab are at the Friday Night Live ROM events until the end of the season – I’m going back on December 6th and I can’t wait to see the final grid of what people have made. It was a fantastic experience to get to see how 3D printing works, and it was fun to take part in that with the folks from Makelab who are super into it all. They’re also doing their printing stuff out in bars periodically, which is super awesome as well – I encourage you to attend if you’re in Toronto. Or just come along to a ROM Friday Night Live event before the end of their current season! A slightly different digital dozen this week! This week I need to have a briefer internet weekend, with a lot going on and not much downtime in my week/evenings to pre-prepare this post! So I’m going to share with you a handful of sites that I like to poke around on, follow the feeds of, to get fun stuff to read about and look at each week. Boing Boing A blog of all sorts of things – technology, politics, gadgets, and general interest. Geekologie Weird pop culture, general gadgetry and fun info. The Mary Sue All sorts of wonderful nerdy pop culture! Laughing Squid Lots of geekery, art, design and technology. Upworthy Although I hate their click bait blurbs, I generally enjoy the food for thought in these posts. Okay, fine – I can’t resist leaving you without at least something awesome. First of all, lose yourself scrolling down these maps, marveling at the wonder of etymology. And next, do yourself a favour and watch this great animation of classic paintings – the long string of raspberry blowing is just the best. I love that Adam’s cafe, Fahrenheit Coffee, has won Best Coffeehouse in NOW Magazine’s Best of Toronto reader’s poll! I am so proud of how skilled he’s become, and how he’s amassed a huge amount of knowledge and his passion for coffee has flourished. That he gets to do it in a quality workplace like Fahrenheit is fantastic. Just look at this beautiful cortado he made me a while back.. While I love playing the physical versions of board games, sometimes it’s nice to poke at your tablet and zoom through a game instead (and much easier for travel purposes!). Obviously I prefer it when developers include Android devices in their board game to mobile game ports – for selfish purposes, owning a Nexus 7 tablet – but I love that top quality ports are happening at all! (And sometimes I get to try them on Adam’s iPad). So I love seeing a great game – Lords of Waterdeep – getting what looks like a pretty great mobile version developed, by the looks of this brief video. It should be out soon, I’m hoping to give it a try! I have also been trying to find love and delight in the small things – trying to start some new books, making movie plans with friends, looking forward to seeing the Evil Dead musical now it’s back on stage in Toronto. These little things should keep me buoyant until such time as the rest of my brain catches up with life.